Using unearthed discoveries and information, this commentary opens of the world of the Bible like never before. For fifty years the 'New Bible Commentary' has served Bible readers worldwide. This 21st Century Edition builds on the strengths of the previous three; a one-volume commentary on the whole Bible by an international team of contributors; general articles on what the Bible is and how to read it; an introduction to each Bible book; commentaries dividing each book into sections for ease of reference. Designed to meet the needs of today, the 'New Bible Commentary' makes use of recent international scholarship: 80% of the articles are entirely new and the rest have been rewritten. New maps, diagrams, charts and tables illuminate the text, and further reading lists are included with each article. New Bible Commentary by D.A. Carson; R.T. France; J.A. Motyer; G.J. Wenham was published by Intervarsity Press in April 1994 and is our 9911th best seller. The ISBN for New Bible Commentary is 9780851106489. 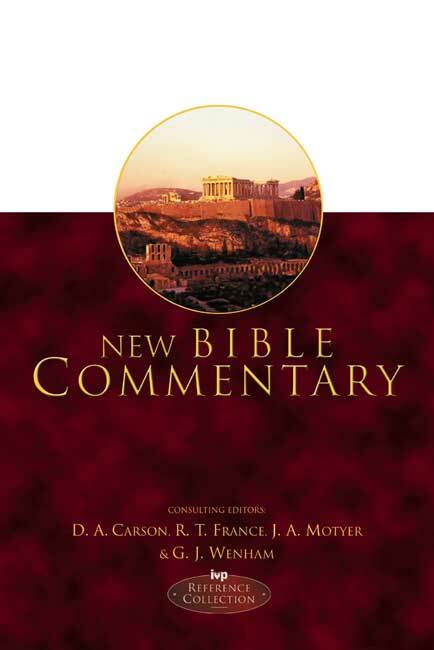 Be the first to review New Bible Commentary! Got a question? No problem! Just click here to ask us about New Bible Commentary.